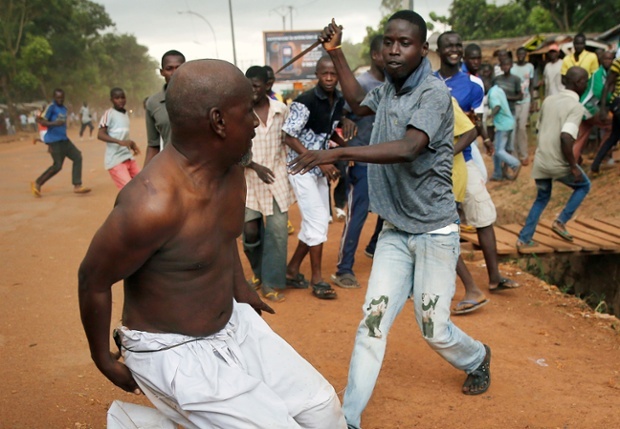 A Christian chases a suspected Muslim rebel with a knife. December 9th, 2013. There is no more safe part of the city for Muslims. 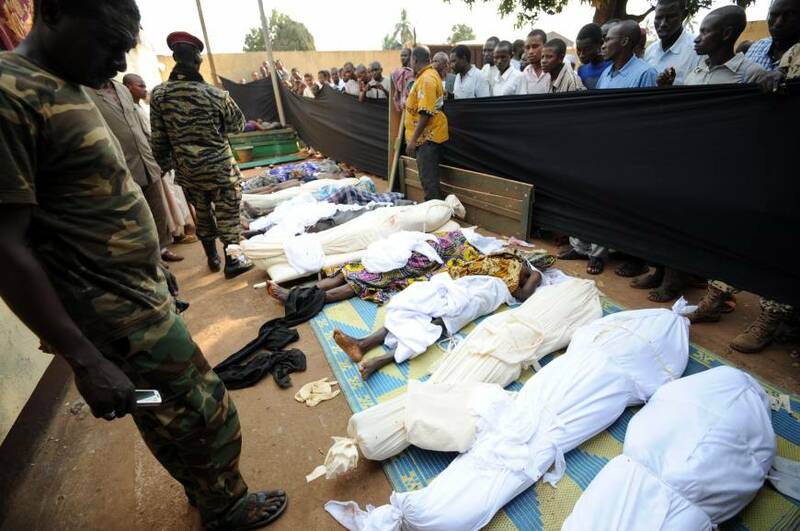 We see them being killed everywhere in Bangui, and Christians as well. We were at the morgue two days ago, and it really was a scene out of Dante’s Inferno. They showed us the death records in case after case of people who had been lynched in the street, shot, burned. These scenes are repeating themselves throughout the country, not just in Bangui. That French peacekeepers witnessed this but did not intervene does not engender confidence towards their efforts- before and now- to keep religious and ethnic violence from engulfing portions of the country where the groups live together or nearby. With the incredible brutality in mid-90s Rwanda in mind, one would hope that lessons have been learned. However, the history of post-colonial Africa is one of Western nations creating conditions for religious, ethnic, and national conflict and taking inadequate measures to prevent it.